ALAMEDA, Calif. (KGO) -- Santa Claus doesn't necessarily wear just red and white in the Bay Area, but also silver and black! 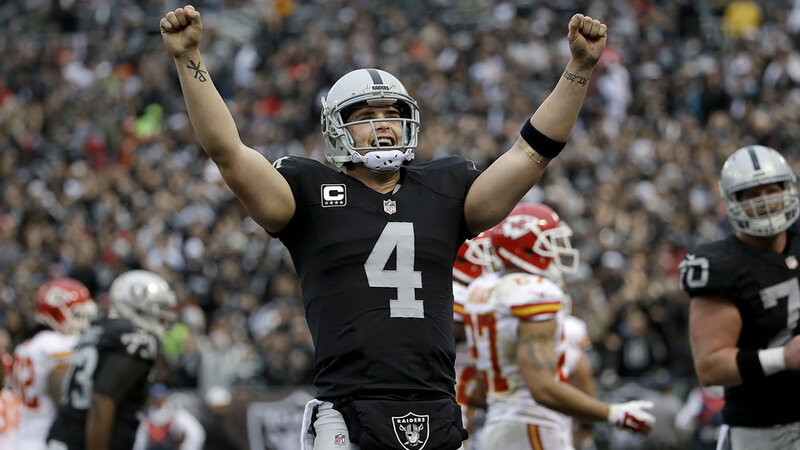 Oakland Raiders quarterback Derek Carr stuffed the lockers of his offensive linemen with 55-inch Vizio flat screen televisions. Every offensive lineman received one on Tuesday. That includes backups and practice squad members. On Wednesday, Carr and Raiders center Rodney Hudson talked about the gesture. "They deserve it," Carr said. "They don't get credit for anything. They just deserve those kinds of things. Just to let them know that someone's thinking about them." Hudson added, "Derek got us a gift. Shows us what kind of guy he is." Carr has plenty to appreciate. The Raiders have allowed just 21 sacks all year, making them fourth best in the NFL. Much of that is thanks to his offensive line.